Clarkson – not an idiot – HubNut – celebrating the average! 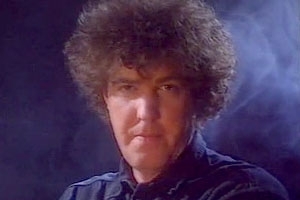 Believe it or not, Jeremy Clarkson and my good self share much in common. No, really! For a start, neither of us are university educated and to read Clarkson’s witterings over the years, which I do a lot, he shares with me that slight regret. University sounds like a lot of fun. Certainly more fun than working in Kwik Save as I did at university age. We both earn money from writing about cars, though I concede that Clarkson has had rather more success in this avenue. Mind you, on the plus side for me, there are no pictures of me looking pregnant on some fancy Carribbean island featuring in newspapers. Or existing at all in fact. We definitely do both share a love of the English language too. It isn’t an academic “look how many long words I know” sort of an appreciation, just a delight in how some words fit together in ways that somehow resonate. Take this example, which has been making me laugh for two days now. Of the modern MINI, Clarkson says: “…the boot is not even big enough for a mouse’s pants.” That’s just delicious. It’s a way to conduct a review of a really boring aspect of a car while clearly getting the point across. It leads my troubled mind to conjure up the scene of a mouse being exceedingly pissed off because his pants won’t fit in the boot of a MINI, no matter how hard he tries. Clarkson’s TV persona is vastly different to the one you pick up by reading his work. Yes, there’s the odd obnoxious statement in there, but he appears nowhere near as oafish as his telly appearances make him out to be. That’s an act put on because deployment of it seems to render him enormously wealthy. If you get rewarded for something, you’ll continue to do it. You see, I absolutely love crap cars. I always have. I don’t believe in putting up barriers and I suspect some of this comes from attending a primary school when I was a child that had a truly enormous spread of races. Child logic quickly reveals that when you ignore religion and skin colour, you’re all just children wanting to run around outside and screaming with excitement when a dog wanders aimlessly into the playground. And farts are hilarious. Similarly with cars, I don’t care whether people think it’s any good or not. I want to drive it. Where I certainly do differ from Mr C is that I really can’t see the point of POWAAAARGH, so I get as much enjoyment out of a 29bhp 2CV as any other car. Having lots of power in a road car is just stupid. Really, really stupid. I once drove a Lola T70 Replica which had over 400bhp. Think about touching the throttle pedal and you’ll be doing illegal speeds in mere moments. Exhilarating yes, the first time you accelerate. Then you’re looking in the mirrors like a paranoid drug dealer as you try and get the speed back down to something legal. The rest of the journey is spent realising just how little of the power you can actually exploit, or being scared that one sneeze and you’ll accidentally accelerate into a tree. Rubbish! Hop back into a 2CV – Jeremy has driven a racing one as well as a French one turned into a boat – and you can exploit every single one of its horsepowers. The same can be said of the Austin Seven, the Austin-Healey Frogeye Sprite and the Citroën BX diesel. Surely driving a car so it’s giving 100% is much more exciting than driving a really powerful car to about 20% of its potential? There is another reason I like crap cars though. They’re crap. That means they’ve got loads of character. Who cares if switches fall off and the doors are so thin that they get damaged by leaves? Even crap cars have truly tremendous stories behind them. The Trabant had a body formed of Duraplast, which is a material combining resin with reinforced cotton waste. If you’ve got no development funds or steelworks, then building a car from this material makes perfect sense. The Skoda Estelle appeals too. Sure, the handling isn’t the best and build quality is suspect but so what? They’re great fun to drive and far better than the jokes or their communist upbringing would have you believe. Spot on. You’ve driven a Lola T70! Loved these cars since watching George Lucas’ film ‘THX1138’ where protagonist has to escape dystopian city in a gas turbine powered car based on a T70. I’ve met Clarkson once very briefly when the team were flying out of Stansted Airport for one of their shoots. As you say – he is very different from the tv persona – in fact they all were.